Live-streaming is a great way to incorporate the global community in discussions that previously had been inaccessible to those not there in person. This style of inclusion allows viewers to receive content in real time, interact with presenters, and share ideas from wherever they might be. The overall goal of any live stream is to present relevant information in real time without the delay of a previously recorded broadcast. Many people assume that live-streaming is as simple as point, shoot, and upload. Technology allows us to stream to places like Facebook using nothing but a smartphone and an internet connection. While there is a time and a place for that type of broadcast, a polished and professional event must consider a number of factors. This article will detail the five most important factors when determining the who, what, where, how, and legal aspects to take into consideration. From my years of experience, these are some of the best questions to start with to successfully live-stream an event. Who is going to view the live stream? A couple of questions to ask yourself: Do you want your video to be accessible to all members of the public or just a select group? Is this a one time view or will it repeat? Do you want people to be able to post questions and comments in real time? Has a branded website already been established or will something need to be created? These questions need to be answered before moving forward with the planning process. 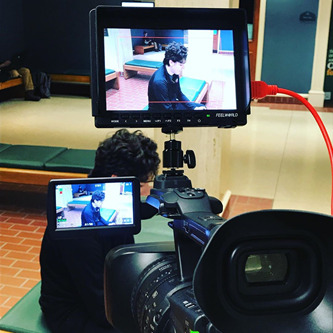 There are many different platforms that can host your live-stream, talking with a professional beforehand can help you select the best to suit your needs. Facebook Live, Youtube Live, Vimeo and Twitch, are different platforms to name a few. While they all have the same basic functionality, it’s the details of their features (as well as the cost) that makes all the difference. Most professionals have a preferred platform. For example, Bell Tree Productions generally streams live to Vimeo. Vimeo allows us to control privacy settings, create passwords, and embed streams on other platforms or websites. While you can use a free streaming platform, the features available are limited. Being open about your budget and needs will help you in your search for the best option for your event as well as your audience. There are a number of things to consider that could influence the live-stream experience. Will there will a projection or other visual aids to accompany a speaker’s presentation? Is there natural lighting or will additional lighting be brought in? Will there be a physical audience and how might they engage the event? Is there anything out of the ordinary that a technical company needs to consider? The answers to these questions will help determine the scope of equipment and staff needed to create the vision for your live stream. As more complicated elements such as presentations, videos, and multiple camera angles are added to the event, planning and execution is the difference between a stressful nightmare or seamless event. An example of the type of request that may need extra consideration is additional accessibility needs such as closed captioning or translation. Recently, Bell Tree Productions was asked to display a multi-language translation to a live-stream panel discussion. While the technical abilities differ from company to company, sharing those types of requests early will give your production team the best chance at executing your request successfully. What can I do to help make sure a stream is even possible? The speed of your network is vital to the ability to live-stream. In most cases, more advanced technical questions will need to be directed to your network administrator or IT director. However, there are few early stage, yet important questions that you can quickly answer yourself. Without getting too technical, internet speed depends on two numbers: Download speed and upload speed. Both of these numbers are important, but what plays a bigger factor in a high quality stream is the upload speed. Upload speed is you how fast your network can process information and get it to the internet. 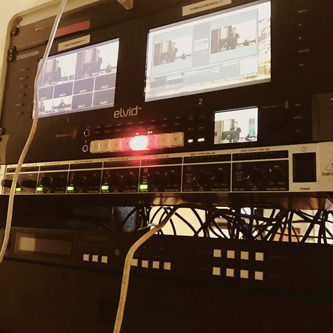 Even with limited experience working with network technology, anyone can quickly determine the network speeds and relay it to whomever is producing your live stream. To do this, open up a web browser connected to the network you plan on using and search for “internet speed test”. Run the test, record the results, and pass it along to your live-stream company. With this number, the company producing the live-stream can determine if extra steps will need to be taken. Determining how to connect to the network will, in most cases, need to involve your network administrator. Network security, firewalls and bandwidth are all potential hurdles that need to be addressed ahead of time. Connect the producer of the live-stream with whomever manages your network and they should be able to take it from there. There is nothing worse than getting to a venue on the weekend to find out that you can’t access the web. NOTE: Depending on your network infrastructure, the network administrator may be able to dedicate more upload speed to the computer sending out the stream. It doesn’t hurt to ask. Will people be able to hear what is going on? The ability to see the video is just one half of the live-stream equation. The audio component is just as, if not more important to a seamless end product. Much like the internet discussion above, the majority of the technical intricacies will be managed by whomever is providing the streaming services. As an event professional, having the same company manage all of your event’s audio visual needs means you shouldn't need to concern yourself with this. However, problems can arise when you begin utilizing multiple companies for the same event. The best example of this occurring is when an event venue has an in-house AV team. Putting them in contact with each other before the event will allow them to discuss technical needs without you having to play the middleman. 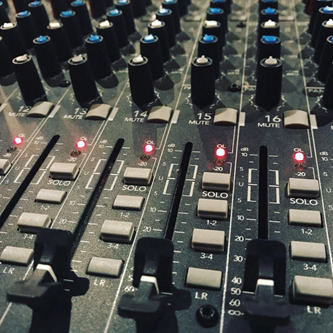 Live-stream audio problems most commonly arise when an event doesn’t call for sound amplification. Most cameras have built in microphones, but using them for a stream will severely hinder quality. When discussing an event with a live-stream contractor, mentioning there will be no sound equipment will help them create a solution. NOTE: Presenters and members of the audience with questions won't think to use a microphone if there is no sound. Making sure everyone knows why to use a microphone helps ensure people watching from a satellite location can stay engaged. Are there any legal concerns that could get us in trouble? I will preface this next section with the disclaimer that I am not a lawyer nor have I had any legal issues in regards to live-streaming or filming in general, but that doesn’t mean it can’t happen. A live-stream producer should know not to stream anything that is owned by someone else without permission. This includes movies, television, music, and other entertainment that is a performance of a work of authorship and is likely subject to copyright protection. Attendees and presenters should be informed that filming will be taking place. I have filmed events where members of the audience or a presenter did not want to be on camera or recorded. You want to make sure not to violate anyone’s right to privacy. Considering these easy steps will ensure you have an informed crowd. Giving people the option not to be filmed and setting up no-camera zones allows for guests to still enjoy the event while maintaining their privacy. Peter Bell, President of Bell Tree Productions - a Columbus-area Audio Visual company that specializes in planning and executing live stream broadcasts ranging from a small studio interview with an audience of 40 people to large conference panels streaming to 60,000+ people. For more information about live streaming or any questions involving other audio visual needs you may have, please contact Peter by email at peterbell@belltreeproductions.com.